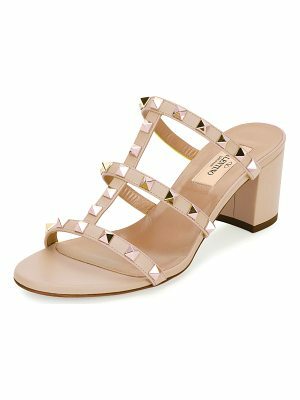 Valentino leather sandal with signature Rockstud trim. 4" covered heel. Open toe. Caged T-strap vamp. 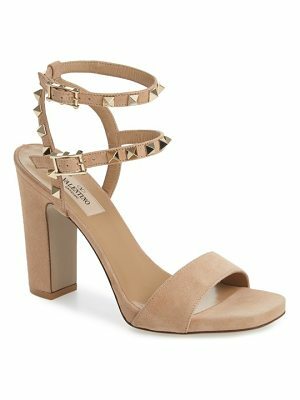 Ankle strap connects to halter strap. Calf leather lining. Smooth outsole. Made in Italy.